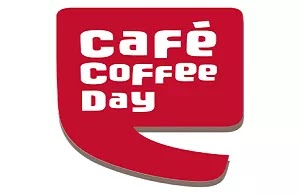 Cafe Coffee Day App : Cafe Coffee Day, India’s largest cafe coffee chain is proud to launch a brand new app that rewards customers and fans of CCD for spending at CCD! (Currently available only in Karnataka). Earn back 10% as Beans from each of your purchases at CCD. You can redeem the Beans for future purchases. Now they are launching their Beta app version & Presenting An Awesome Refer & Earn Program. If Your friend download app & signup through your referral code & then He/she get 100 Beans ( =Rs.100) & You will get 50 Beans (=Rs.50) . 1). Download & Install Cafe Coffee Day (Beta) App : Click Here. 2). After Install Open the app, Now Create a new Account. 5) You can see your balance , Open Menu >> My Balance . 6). Now To Earn More Start Referring Your Friends. 1). Open Menu >> Refer >> Enter Your Name To Genrate Your Referral Code. 2). You will get 50 Beans per Successful Refer & 100 More when they use app for payment. You can redeem your earned Beans against any purchase at any CCD store (including merchandise). Beans are redeemed on your final billed value, after discount and after tax. 1 bean is equivalent to Rs 1. MISSING DEALS IS NOT GOOD FOR YOUR POCKET. we will add you to our whatsapp group.